If you haven’t experienced summer in Park City, Utah get ready to have fun. From stand-up paddle boarding (SUP) to the Park Silly Sunday Market, and Historic Main Street walking tours to gallery strolls, there’s something to fill every day of the week with fun. Yes, Park City has all that, and more! Not only is SUP a fun way to explore the waters in and around Park City, it&apos;s a great workout and a perfect way to spend a few hours savoring a Park City summer afternoon. If it&apos;s your first time on a SUP, several of our Park City outfitters have you covered. They can match you with the perfect size board, paddle, and personal flotation device. Lessons are available for all levels, and ages. It&apos;s easy to master, and once you&apos;re comfortable on a board you can try new venues (there are even river rapids for extreme SUPers), mixing it up with fly-fishing, or making it part of your yoga practice. You don&apos;t have to travel far to get out on the water. The pond in Deer Valley’s Snow Park area is the best spot for beginners, plus you can end your SUP session with a yummy lunch, dinner or snack on the deck at Deer Valley Grocery~Cafe. Park City SUP operates a pond-side rental tent and offers lessons. If you bring your own board there is a nominal fee to access the pond. The Jordanelle Reservoir features over five miles of water to explore with sandy beaches, picnic areas and group pavilions. Just a 15 minute drive from Park City, Jordanelle is a Utah State Park and an entry fee is required to access the water. Many of Park City&apos;s SUP rental shops offer lessons and board rentals to help you get set for a day on the reservoir. 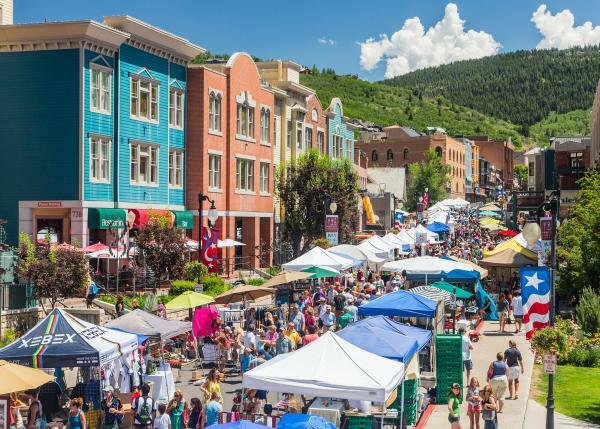 Located at the bottom of Park City’s Historic Main Street, the Park Silly Sunday Market is an eco-friendly open-air market and street festival that maintains a strong community focus. The market runs every Sunday, from 10:00 AM-5:00 PM from June through September. It’s a fun, relaxed environment where you can enjoy live music, delicious treats from local food vendors, and browse the purveyors’ tents for unique products ranging from homemade organic soap to handcrafted jewelry. The vendors at the Silly Market rotate each week, as do the musicians, guaranteeing a unique experience every time. The market is dog-friendly (with a leash), and fun for the entire family. Special activities, including kids’ yoga, rotate on a weekly basis – it’s fun to let the kids play while you shop! Parking is somewhat limited near the market, so it’s best to take the free public bus or ride your bike to Main Street. The Silly Market even has a bike valet! Park City was put on the world map as it helped host the 2002 Olympic Winter Games. Hundreds of thousands of visitors from around the world filled the town during those 17 days to watch the world’s best athletes compete for Olympic gold; yet more than 130 years ago, a rush of people flocked to Park City seeking a different precious metal - silver. The Park City Museum offers a peek into Park City’s past with Historic Walking Tours, available Monday-Friday. Put on your walking shoes and explore Park City’s Historic Main Street. Explore the architecture and stories of Park City’s unique history—from the days as a booming mine town to an emerging ski town. Cost is $7 per person, and the tour is best for ages 13 and up. For more information, please visit the Park City Museum’s website. Did you know that Park City has over 450 miles of continuous, non-motorized, recreational trails for you to explore? The best part about them is that they’re easy to access via trailheads all over town. 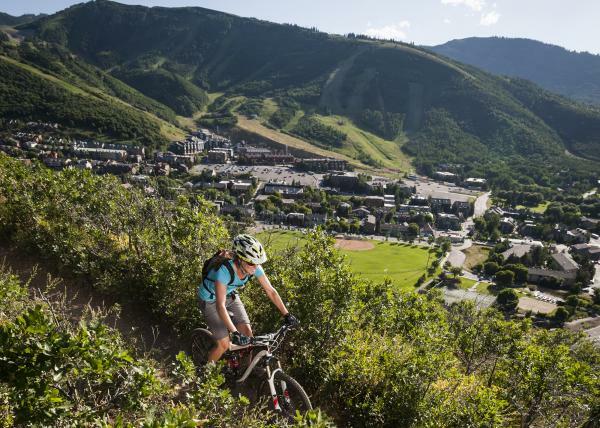 Additionally, Park City was the first-ever designated Gold-Level Ride Center by the International Mountain Bike Association. Pick a trail, any trail – there is a wide range of terrain to choose from, including flowy single-track, rugged downhill-only trails, bike parks and paths, all with spectacular mountain views. Additionally, there are many local bike shops to rent bikes or demos from if you don’t have your own equipment. You can even hire a guide to tour you around, or the Mountain Trails Foundation, which helps maintain the area’s pristine trail system, has fun interactive maps to help you plan your ride. After hitting one of the area’s trails you’ll likely want to grab a post-ride bite from one of Park City’s restaurants. With so many trailheads across town, you can choose from a wide variety of eateries conveniently located at the end of your ride. Try Taco Tuesday at Sammy’s Bistro or Windy Ridge. Wednesdays are a local’s favorite in Park City. Not only is it hump day, but an even better excuse to celebrate by packing a picnic, gathering friends and family, and heading to Deer Valley Resort for the Grand Valley Bank Free Community Concert Series at the Snow Park Outdoor Amphitheater. Featuring the best in local music, concerts begin at 6pm, rain or shine. For a complete schedule of the Grand Valley Bank Free Community Concert Series, please visit Deer Valley’s website. Thirsty? 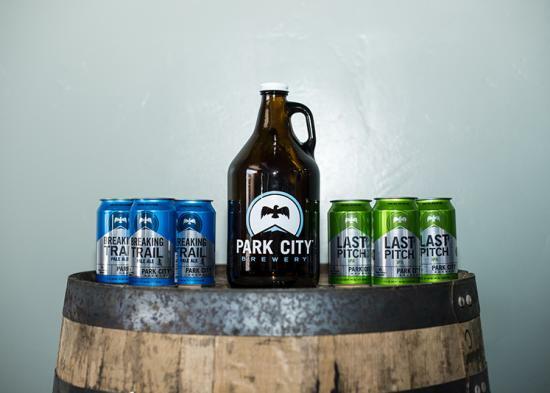 Park City’s craft beer scene need not be overlooked. It’s present, it’s growing, and it’s ready for you to enjoy. Try Wasatch Brew Pub at the top of Historic Main Street, which in 1988 became first brewpub in Park City when owner Greg Schirf proposed a bill to the Utah Legislature making brewpubs legal. Wasatch’s sister operation, Squatters, is located on the corner of 224 and Kearns Boulevard. Squatters began in 1989 in Salt Lake City, but expanded to Park City in 2006. Red Rock Brewing opened its doors in 1994, eventually adding a location in Park City. Red Rock’s goal: high-quality craft beer and delicious food. Park City is also a town full of art galleries. On the last Friday of every month, the Park City Gallery Stroll offers a free community event that gives locals and Park City visitors alike the opportunity to enjoy light refreshments while exploring Park City’s art galleries. From 6:00-9:00 PM on the last Friday of each month, members of the Park City Gallery Association offer a unique monthly showcase highlighting artists, special exhibits and art events. If the Park City Gallery Stroll leaves you feeling inspired to create a masterpiece of your own, check out the many art classes offered at the Kimball Art Center. There are classes for all ages and abilities, and even the opportunity to take a class together as a family.